Valley Machining photo from company website. October is “National Manufacturing Month”, and one northwest Iowa manufacturer hosted 230 students this week from as many as 12 schools on a tour of their facility. Valley Machining Chief Financial Officer Joe Van Tol says his company’s “Manufacturing Day” is part of a larger effort to address the big shortage of manufacturing workers. He says there are a lot of groups in the state and across the country that are promoting manufacturing to show how the industry has changed in the last 15-20 years. The event is a culmination of a month of planning and preparation, and is one result from forming what he calls a sector, a group of manufacturers joining to promote manufacturing. With the help of Northwest Iowa Community College in Sheldon, they’ve hired a coach to get this off the ground. The coach will visit schools promoting manufacturing to students on a regular basis. Van Tol says it’s important to young people that manufacturing utilizes automation to help workers — despite nay-sayers claiming robots are taking jobs from people. “That was one of the fears ten or 15 years ago that we would replace jobs,” Van Tol says. “I wouldn’t say that we’ve ever replaced anybody — we’ve just expanded so that the same amount of people could do more production.” Van Tol says this is just the beginning of laying a foundation for future workers, not just in Rock Valley, but the entire state. He says an important part of this event is to remove preconceived notions about manufacturing. Van Tol stresses to young people that good wages await those who go into manufacturing. He says locally the wages are above the national average and will likely increase in the future. 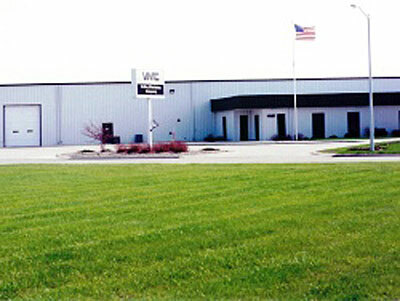 Valley Machining has been in business for 38 years and is one of many manufacturers that call Rock Valley home.